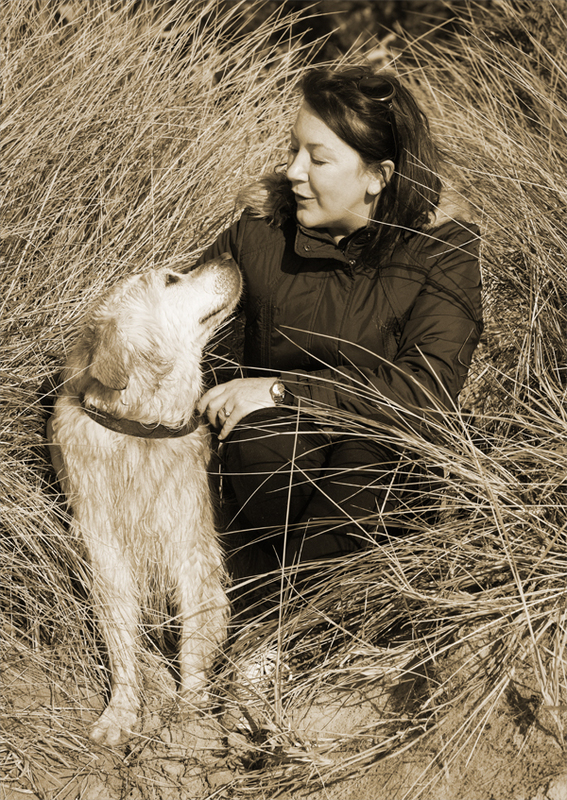 Dr Katrina Ward with her dog Lucy. Veterinary behaviour is a relatively new field which addresses behavioural and mental health issues in companion animals. Like all areas of mental health, one of the biggest challenges is creating awareness around the issue. All too often, the concept of "pets on prozac" is laughed off as an indulgent middle-class fad. Behaviour veterinarian Katrina Ward argues that in fact mental health is essential for the well-being of animals. She discusses her career trajectory, and her favourite behaviour resources, below. When I am not taxiing my 14 year old twins to school, music, sport etc. 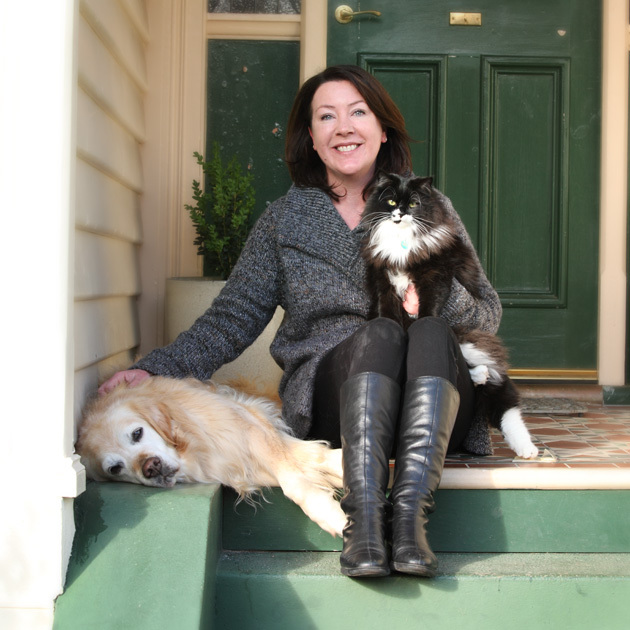 I run my own businessas a behavioural consultant (in 2008 I obtained, by examination, Membership to the Australian and New Zealand College of Veterinary Scientists in the field of Veterinary Behaviour). This primarily involves assessing animals with problematic behaviour and mental disorders, making a diagnosis and determining a management plan with the owner. My work does also take me to some interesting places- for example, being an expert witness in court, helping police and local councils etc. I run weekly puppy classes at my husband’s veterinary practice. I have been a committee member on the Australian Veterinary Behaviour Interest Group for many years and have been the President since 2014. 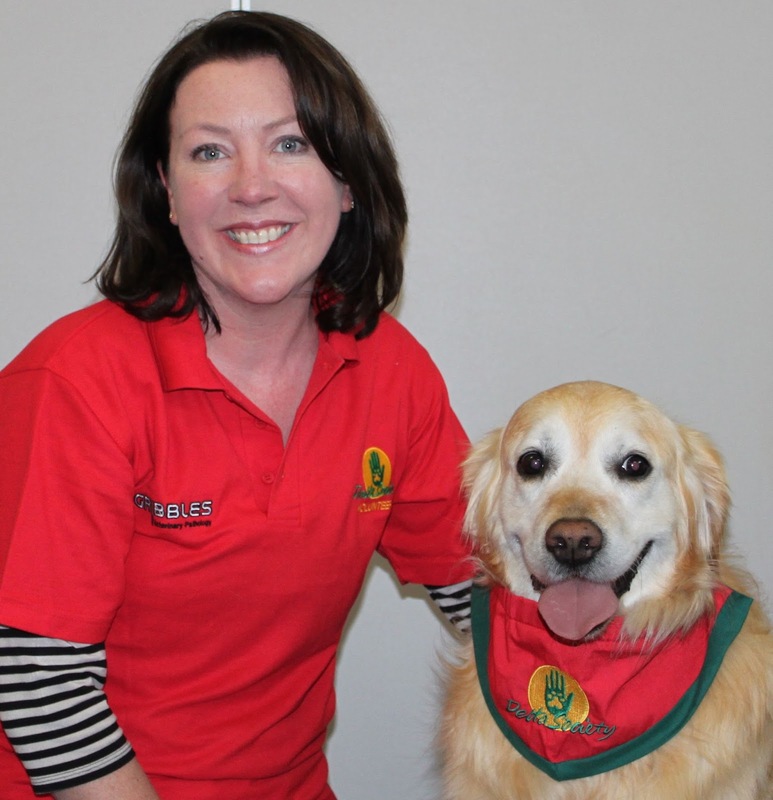 I have also recently retired with my dog Lucy from volunteering as a Delta Therapy worker. Understandably, my “day job” carries on until the late hours of the night as this is when I often write up my client reports. What lead you to work in veterinary behaviour? Have you ever lived with an animal with behaviour or mental health issues? Eleven years ago we adopted a 3 year old Golden Retriever (Lucy) who had been neglected by her family due to allergies and a new born child. She spent most of her days tethered on a property with no fences and a public walkway to the beach out the front of the property. As a result, she was a barker. She barked in frustration, for attention, at the beach activities…When the owners agreed to let us take care of her, she continued to bark, a lot. She has been a challenging dog in that regard, but all our training, patience and enrichment of her environment has paid off. Her love of people made her a superb therapy dog. She’s showing her age now with degenerative osteoarthritis but still manages a frolic on the beach. She is being managed well with NSAIDs, stem-cell therapy to her stifles, weight control and DHA/ Omega-enriched food. She loves games with food-releasing toys that don’t require much physical activity- to keep her mentally busy. Why do you think animal mental health is still under-recognised? There is definitely an increase in awareness but it’s not at the level it could be. To a degree I think it is not encouraged to be thought about by the industries that rely on animal use (it’s hard to eat meat, wear leather, take the kids to the zoo or justify medical experiments etc. if we think too much about the sentience, or the uniqueness, or the personality of the individual creature). It is similar in the way certain training methods of dogs and horses are justified as “necessary”. To address the impact these techniques might be having on the animal’s mental state is inconvenient for those who rely on their use. With respect to domestic pets, the interaction between the owner and the pet can have an influence on the pet’s mental health. To convince an owner to change their behaviour with the pet can sometimes be difficult to achieve. There is also unfortunately a lack of focus on this discipline in veterinary education at the undergraduate level. be an increase in owner awareness and then into the general community. How does someone recognise distress in an animal? Distress can often be seen by a change in body language, such as (in dogs), pinning the ears back, tucking the tail down, raising hackles, lifting their lip and showing the whites of the eyes. Their behaviour will also change, for example by panting, urinating or defecating, being hypervigilent, crouching down or showing avoidance behaviour. They will often vocalise too, such as whining or growling. There are also physiological changes such as an increase in heart rate, cortisol levels in saliva/hair/urine which can be measured. It is also important to point out that animals can also show signs of stress when they are excited. This is called eustress (a positive form of stress having a beneficial effect on health, motivation, performance, and emotional well-being, literally meaning “good stress”). An example of that would be a dog that barks and pants in eager anticipation of a walk when it sees the owner get out the lead. It is important to look at the whole context of the animal’s behaviour and the environment in which it occurs. In veterinary settings one cofounding factor is the so called "white coat effect" or fear of vets. How do we tell what animals are truly anxious in a general sense and those that just freak out at the vet? Thorough questioning of the client is the only way to diagnose generalised anxiety. Questionnaires for the owner to complete can be a good way to identify the animal’s mental well-being. An animal that shows an extreme fear reaction, even if only at the veterinary clinic, is worth helping. If it needs hospitalising then this stress will interfere with healing and the ability to handle the animal. It is also stressful for the staff and of course for the owner who may be less inclined to seek veterinary help. If we can improve the animal’s experience at the vet clinic it is win-win-win for everyone. There are both harmful and helpful ways of modifying animal behaviour. In a field where the evidence is building and everyone is an "expert", how can we sort out the helpful from harmful methods? One of the simplest answers is “if you wouldn’t do it to your child, should you do it to your pet?” or “how would you feel if you couldn’t speak the same language and someone did that to you?” If the idea makes us uncomfortable, then it is most likely going to be harmful. An example of this is a behaviour modification technique called “flooding”. This is often recommended for dogs that are reactive to other dogs and sounds like “just take him to a dog park and let him get over it”. Even though he might stop reacting in that overwhelming situation, in all reality this is likely to sensitise the dog further and in future interactions with other dogs his behaviour will be worse. With humans, at least we can explain why we might use that technique, explain to the person how they will feel and how to calm themselves. We do not have that privilege with dogs and they can’t tell us how uncomfortable they feel, especially if they “shut down” (a condition called learned helplessness). My other advice is to always seek help from qualified personnel e.g. trainers that have done study in animal handling, ethology or psychology and belong to a reputable training association that promotes force-free methods. Veterinarians who have done further study in behavioural medicine are also professionally obligated to be up to date with current research. Quite often pet owners approach veterinarians about behaviour issues only when they are at their wit's end. Realistically, how long and how much work can it take to change "problem" behaviour? This really depends on the diagnosis and hence the prognosis. For pets with behaviour problems the prognosis is multi-factorial. If it’s easy to see that learning (or lack of guidance) and environmental factors have contributed to the onset of the behaviour problem, then usually the prognosis is good with behaviour modification. If changes can’t be explained, then there is probably more going on physiologically with that animal. Client compliance. This includes whether they have the finances, the time and commitment to follow the advice. The prognosis is certainly worse if they are scared of their own pet. The duration of the condition will affect the prognosis as the longer it has been continuing, the more entrenched the behaviour may be and more difficult to change. The predictability of the behaviour is also a measure. Obviously the less predictable the behaviour, the more difficult it is to identify triggers and control exposure to them. This is particularly difficult in cases that involve aggressive behaviour. Finally, the pattern of the behavioural response to recommendations (including environmental, behavioural and pharmacological interventions) will indicate how successful the plan will be in the long run. So, in summary, some cases respond quickly and very successfully. Others can require life-long commitment from the owner to manage their animal’s condition. What is preventative behavioural medicine? Great question and a topic that will be covered at the AVBIG behaviour stream at the upcoming AVA conference. Basically, it involves taking appropriate steps to mitigate stress, fear and negative associations. This should happen before birth and continue for life. Stressed pregnant animals will have offspring which are more prone to anxiety and increased stress reactions. Puppies go through developmental stages which can have profound effects on their behaviour in adult life. The socialisation stage for example, is one of these sensitive periods and puppies should be exposed in a safe way to people (of all ages), places and objects that they are expected to encounter as adults. This should all be done when they are young and curious (before approximately 14 weeks of age). Well-run puppy classes can be an ideal way to educate clients and expose their puppy to other puppies, people and objects (and build a positive association with your veterinary clinic). “Fear-free” vet visits will also be discussed at the AVA conference. Prevention of stress is also very important for animals of any age. Providing good client education on how to do this, (for example by setting consistent rules, providing appropriate environmental enrichment and keeping the animal free of any painful conditions), is a vital component to providing good veterinary care. Do you have any advice for vet nurses, vet students and vets about how they can better help the mental health of animals? There is a wealth of information available. Excellent books are available (such as the BSAVA Manual of Canine and Feline Behavioural Medicine, Clinical Behavioural Medicine for SmallAnimals by Karen Overall, Canine and Feline Behaviour for Vet technicians and Nurses by Shaw and Martin, to name a few). The Centre for Veterinary Education provides both short and long courses on veterinary behaviour, both run by the two registered Australian specialists in the field. At every AVA Conference AVBIG provide a behaviour focus. This year Dr Xavier Manteca, from Barcelona, a Diplomate of the European College of Animal Welfare and Behavioural Medicine is our keynote speaker. He will be providing over 8 hours of enlightenment, plus we have many other expert presenters from around Australia. Joining the AVA is always a great step to support your professional Association, keep up to date and make friends all over the country. Then, of course, you should join the behaviour special interest group. AVBIG membership gives you free access to all our webinars, discounted attendance rates to AVBIG conferences, free subscription to The Journal of Veterinary Behaviour and online access to a supportive network of colleagues. Reading and being informed is very different to actually handling a case. I encourage everyone to practice with your own pets first! Teach them to settle, to high five, to “touch” to walk loosely on a lead, to accept and enjoy nail trims and mouth exams. If you can’t do it on your own pet you will not be able to help your clients! Even better, video yourself and your pet during these interactions and replay them to yourself. Another good test to give yourself is to watch interactions between animals and their handlers (youtube is always a good place to start). Turn down the volume and read the animal’s body language. You might be surprised by what you see once the “happy music” or voice-overs have been removed. How have non-human animals changed your life? When I was 11 years old I witnessed lambs being mulesed. Despite everyone’s explanations that in the long run it was better for their health, I recall thinking that there must be a kinder way. Once I was in the profession I was in my element. I recall many of my patients vividly and emotionally, from Tassie Devils to Kookaburras and all the usual suspects in between. Most of my pets have been supplied from my work, and I’ve certainly supplied many friends too. Katrina with her non-human companions. I have also two very special animals in my life right now: a young semi-feral cat who is providing me with great training opportunities (and entertainment) and Lucy, the Golden Retriever. The experiences we went through as a therapy team at an aged-care residential facility were profound and watching her ability to “unlock” the residents was exhilarating. To be able to live and work with animals is a privilege. My children are growing up surrounded by animals and it has helped them develop empathy, patience and an understanding of our part in nature’s huge, fascinating and complicated ecosystems. Thank you so much Katrina for your time. If you want to follow up on those resources, check the links throughout the article. Otherwise check out Katrina's website here or follow her on Facebook here.